According to Gerry Glennon, Mid West Radio "the book is suitable for most age groups, easy to read and contains a wealth of information on Ballinrobe written in an easy, user friendly writing style". Kenny's Books, Liosban Estate, Galway. by PayPal for our overseas supporters. This 108 page publication is priced at the very reasonable cost of only €10.00 (plus P & P by post). 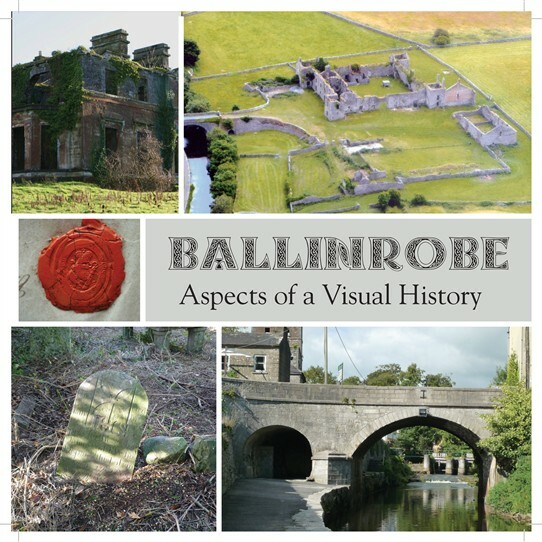 It contains over 160 photographs and images of Ballinrobe from archaeological sites, ruins, plans, drawings, buildings, paintings, photographs and documents. Part of the book is in colour with the first 4 chapters in chronological order from Neolithic times to the nineteen hundreds. The fifth to eight chapters include articles on the cavalry and infantry barracks at Ballinrobe. 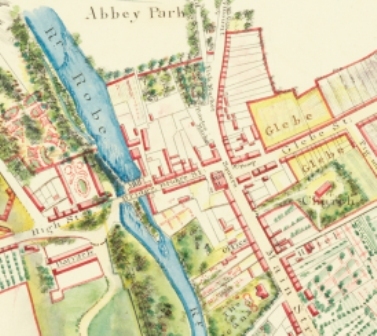 Information of the Knox, Kenny and Cuff families is included, also details on the original Bower's Walk and the establishment of the workhouse. Extensive endnotes and a bibliography are included. A lovely memory or gift for all Ballinrobe people. Hope you enjoy this book and we hope others will write more about Ballinrobe's history/heritage in time to come; remember "Capture it before it is lost forever". 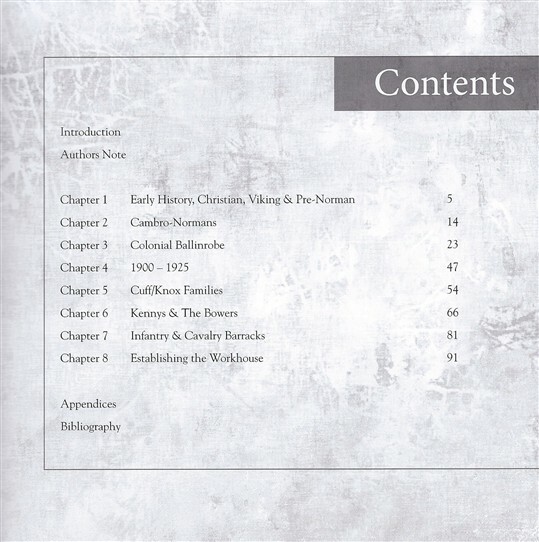 See an image and contents page after PayPal button below. PLEASE NOTE: THERE IS A DROP-DOWN MENU FOR DIFFERENT POSTAL RATES WORLDWIDE. PLEASE USE THE CORRECT RATE FOR YOUR ORDER AS LOCAL POSTAL RATES CANNOT BE USED FOR WORLDWIDE POSTAL RATES. This page was added by Averil Staunton on 10/04/2013.